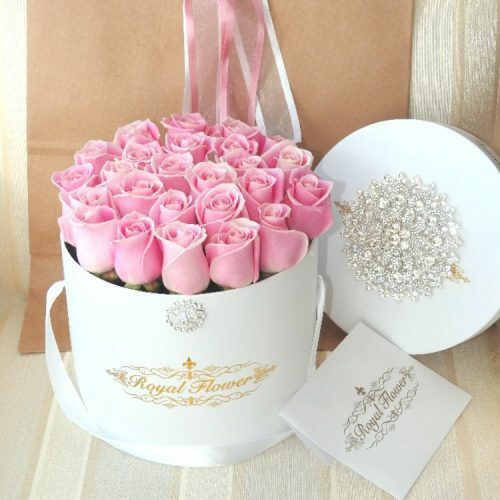 Luxury Royal Purple or Blue Roses Box that arranged perfectly in very elegant boxes in different sizes and shapes which adorned with a 1 inch diamond. 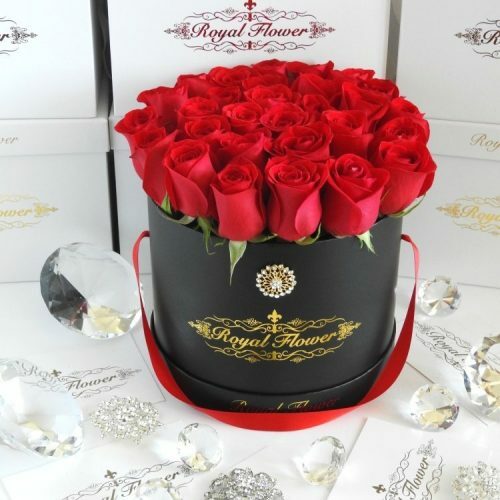 Tall and Medium size box contains 20-25 stems of Royal Purple or Blue roses. Small size box contains 12-16 stems of Royal Purple or Blue roses. 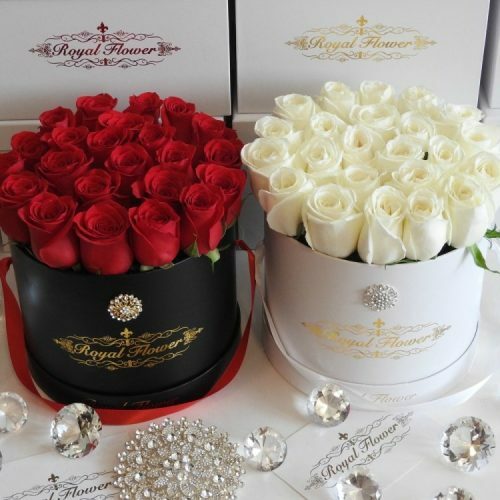 ** please place your order for this special roses at least 1 weeks prior to the delivery date. 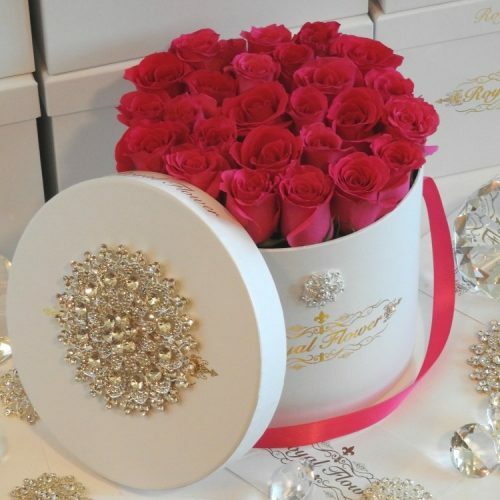 Each box has waterproof container with floral foam that soaked in water and food for flowers. There is no need for any kind of watering or specific maintenance. The lifespan of flowers based on their type are usually between 5 to 10 days and you just need to keep the arrangement in the cold to medium room temperature that flowers last fresh in their life span.